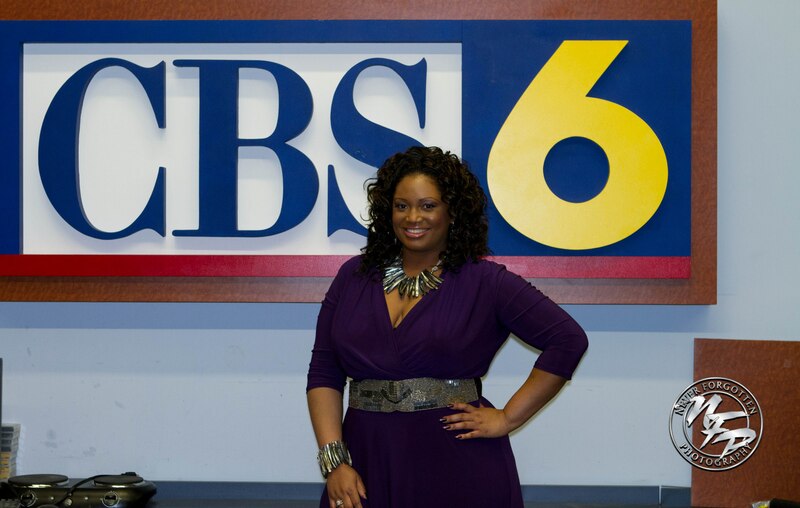 For my interview this past Friday for CBS “Virginia This Morning” I wore this Sevilla Dress in Plum by Eliza Parker from sonsi.com ($229, Sizes 0X-4X). 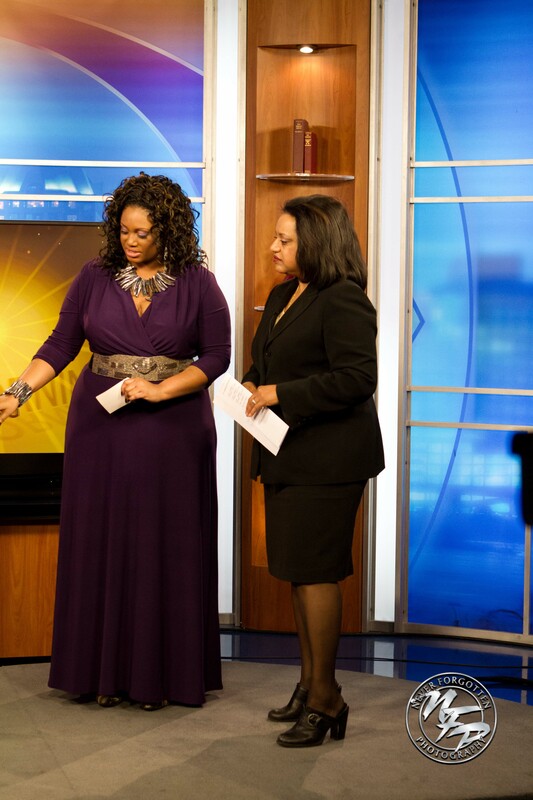 I chose this dress for one, because purple is my favorite color (as I’ve said many times before here on the blog & on air) and two, I wanted a long classy look for live TV. The color is described as plum on the website but it’s more of a purple hue in person. I added a wide Aurora Beaded Belt by IGIGI ($65) and statement jewelry from Macy’s. I knew that most likely I would be standing while on air so I kept my heels low and opted for these Mossimo® Vivian Pointy Heels from Target ($25, Sizes 5.5-11). As I look back over the pics I’m so glad that I went with this ensemble. The color shows up so well on the screen and wasn’t too overpowering with the statement necklace. this dress looks perfect on you – the color also looks great on your skin.